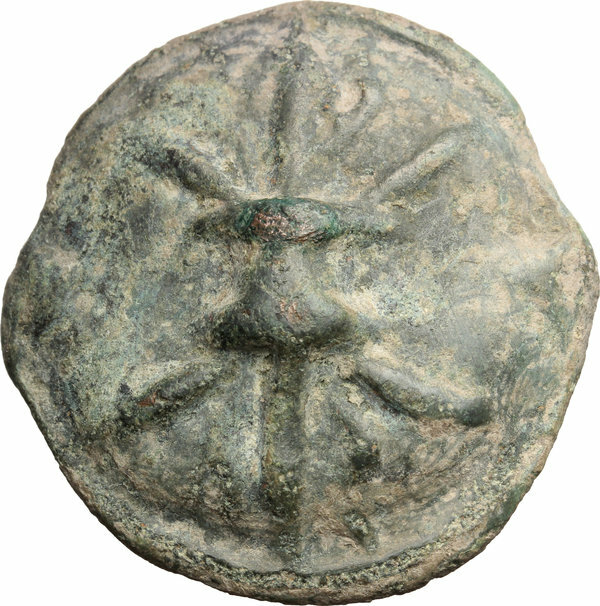 Coins 5 Greek Italy. Northern Apulia, Luceria. Light series. 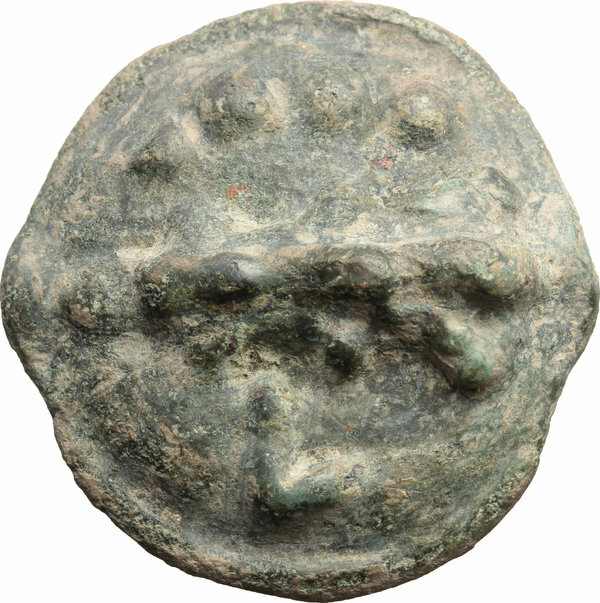 AE Quadrunx, c. 217-212 BC. D/ Thunderbolt. R/ Club; above, four pellets; below, L. Vecchi ICC 346. TV 282. HN Italy 677b. AE. g. 31.00 mm. 27.00 R. Light green patina. Choice About EF.